A visitor to AOL's sister site Emurse recently asked this question: "I'm trying to provide a good objective that will work for all job titles in the clerical area. What should I do?" The quick answer to the question is forget the objective. Here's why. Objectives tell the reader what you want, not what the employer wants. And let's face it, the employer doesn't really care what you want. Hiring authorities scan resumes to determine if the applicant has the competencies and achievements to create success in their work environment. Your objective in the process is meaningless to them. Objectives rarely say anything valuable. Most objectives I see read something like this: Objective: Seeking a position where I can use my clerical skills to help the business run smoothly and efficiently. Duh! If a company is hiring for a clerical position, they already know why. They don't need you to reiterate the obvious. Objectives are a waste of space. Brevity is important on a resume. You have limited space and limited time to make an impression on a hiring manager. The objective statement wastes space on the resume that could be used for communicating more compelling information about your candidacy. Objectives date you. You may have included an objective on the last resume you wrote -- 20 years ago. Resume styles have changed over the years. You need to change with them. So now that I've bashed the resume objective, you may be wondering what you are supposed to put in place of the objective. I recommend creating a professional summary at the top of the resume and here's why. 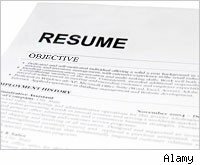 A professional summary summarizes the key points of the resume. It is the snapshot of the applicant and the accomplishments that make them a good fit for the job. Before you buy a book, don't you read the overview on the book jacket? Hiring authorities want the summary before they read the resume as well. A professional summary allows applicants to match their skill sets to the requirements listed in the job posting. A great way to show a hiring manager that you are perfect for their position is to mirror their job requirements at the top of the resume. This strategy is sure to catch their attention and encourage them to read on. A professional summary looks -- well -- more professional. Seasoned professionals with 10-plus years of experience don't gain credibility from using a resume objective. The summary is a much more sophisticated way to present your skills. If you want to learn more about creating powerful resume summaries, be sure to check out Resume Magic, Happy About My Resume, or Resumes for Dummies or download 15 Items for Your Resume "To-Do" List for free.